HomeAccommodationWhich Sydney Airport Hotel is best for you? 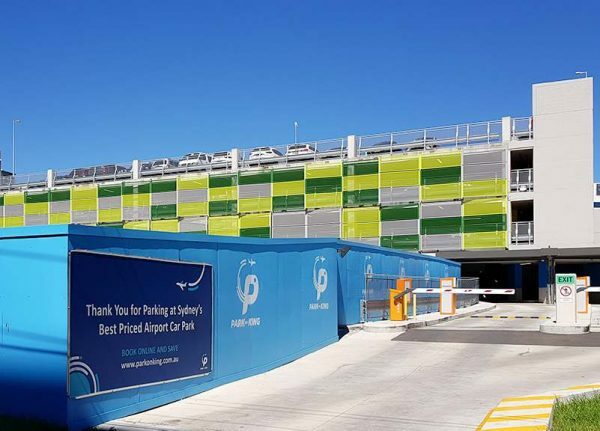 There are no less than 15 choices when it comes to Sydney Airport hotels, in fact, accommodation near Sydney Airport has become much more popular in recent years, and the landscape has changed a lot! 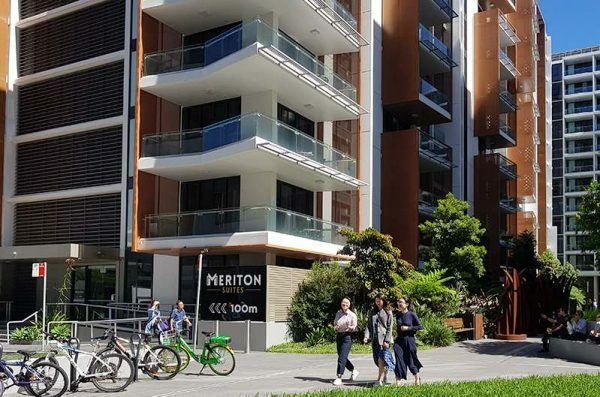 With nearby dining and shopping options and fast connections to the city staying in accommodation near Sydney Airport is no longer on the don’t list. We have covered every single property outlining the pros and cons of each. After years of living in Mascot and now living a little south of the airport near Botany Bay, we have watched all this development take place. We don’t believe there is one ‘best’ airport hotel but rather several depending on your needs. Read on for our honest take on your best options in staying near Sydney Airport. Who should choose to stay near Sydney Airport? Hotels at the Sydney Airport Terminals. Best for longer stays or travelling to the centre of the city. So if you have decided you want to be near the airport for a night lets try to work out the ‘best’ option for you. Best it depends on your perspective. 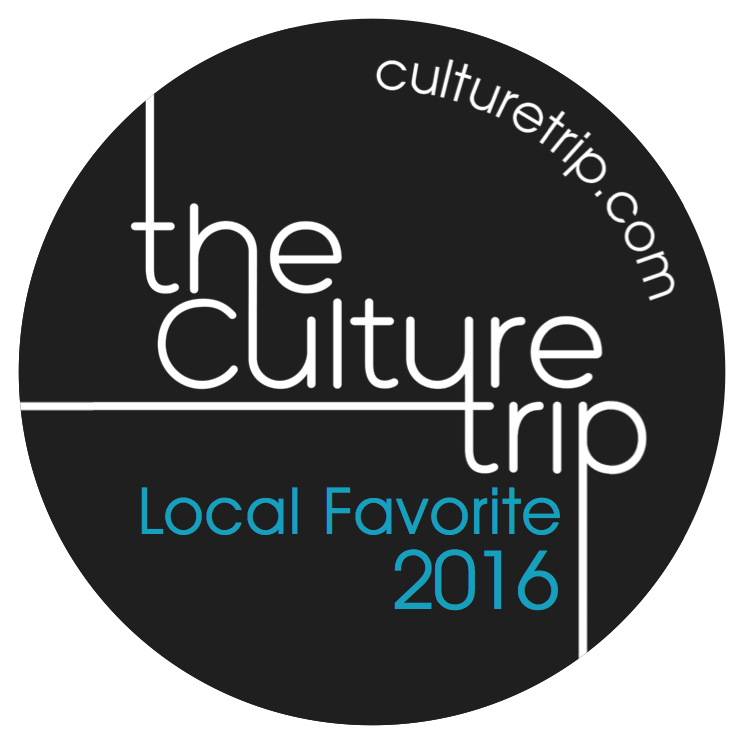 All of these categories come into play when we determine the “best” hotel for your needs. Another thing worth mentioning is that Sydney Airport has a flight curfew between 11 pm and at least 5 am meaning no overnight aircraft noise. Over the last few years, quite a lot of new hotels have opened near the airport. At last count, there were 13 hotels and several serviced apartment properties giving you quite a bit of choice. Unlike many international airports Sydney’s Kingsford Smith Airport, as it is officially known, is located less than 30 minutes from the centre of the city. The suburbs of Mascot and Green Square are full of cafes and restaurants meaning you won’t be too far from good food. The International Terminal is located near the suburb of Wolli Creek and slightly to the south of the Domestic Terminal which is to the north located close to Mascot train station. You might like to stay closer to the one you are departing from depending on your flight time; however, either can be reached easily from any of these hotels. Is there good transport to the airport/city? Does the hotel offer a free or paid airport shuttle service? Is there an onsite restaurant (and how expensive is it?) are there any other dining options? Is the property suitable for kids if you are travelling with your family? Will you earn status points from your airport or hotel membership? If you are travelling internationally on a very early morning flight proximity to the terminal might be important to you, especially if you are arriving late and have a short stopover. There are a couple of hotels located in the grounds adjoining the terminals. There are no hotels located airside at Kingsford Smith Airport. 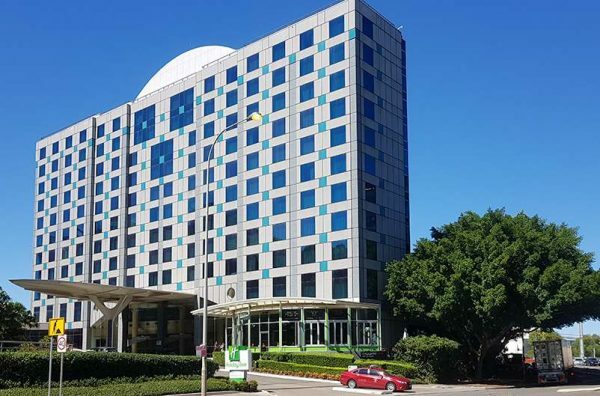 This large hotel with over 300 rooms is perfect if you need somewhere to sleep before a very early morning flight or a very late night arrival into Sydney. Located in the airport carpark, you are literally, as Rydges boasts just 181 steps from the international check-in counters. If you are a plane spotter or staying with kids book a runway view room for hours of free fun. Family rooms, which have a queen bed and two single beds, are spacious and cots can also be provided for smaller rooms. A substantial buffet breakfast is available at the on-site restaurant. There is a fitness centre with a gym, a business centre and free wifi. Pros: Barista coffee from 4.30am, large well furnished and soundproof rooms, free shuttle to the domestic terminal, onsite bar and restaurant. Rooms can be booked for day use only if required. Cons: The restaurant closes early even on weekends. Many rooms have views of the car park. Parking: $50 but confirm prices before booking as it can be costly if not pre-arranged. 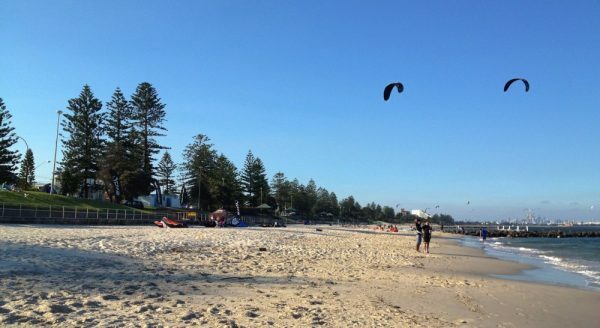 If you are arriving before dark or have a late morning or early afternoon flight, this is a good choice as the location offers the rather pretty Brighton beach for a dose of the outdoors. There are plenty of restaurants nearby to eat. It’s a little further from the airport but still less than 10 minutes by Uber. I have stayed here on several occasions and enjoyed the location. The long stretch of sand is the perfect antidote to a 14-hour flight. Pros: Every room has a balcony, lovely views out over Botany Bay and Lady Robinson Beach, day spa, best swimming pools (indoor and outdoor) of any of the airport hotels. Some offers include parking for up to 9 days while you are travelling. There are indoor and outdoor pools and free kids club. Cons: guest rooms and public areas need updating (refurbishment is in progress apparently), wifi free only in public areas. Shuttle: no official shuttle – uber or other ride share is your best option. Tip: Brighton Le Sands is full of dining options, among my favourites is Meet the Greek and Bondi Pizza. Check the photos and reviews on TripAdvisor or check the current prices here. If you can get this property on sale, it is a reasonable choice, but I would not pay full rates until the renovations are complete. 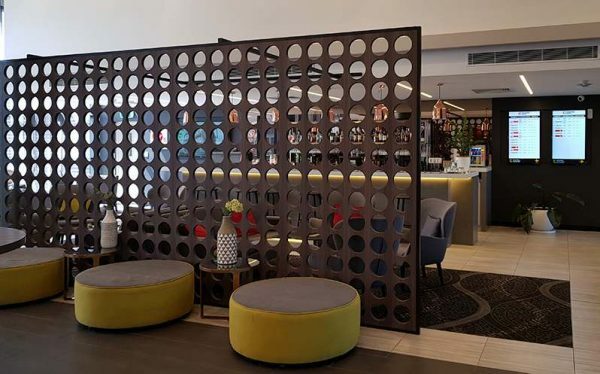 Less than one kilometre from the international terminal the Mecure, soon to be Novotel, offers comfortable modern rooms that are soundproofed and perfect for getting a good nights sleep. The property has been refurbished and looks great. You can walk to Wolli Creek train station in about 10 minutes for fast travel to the city. The Saint George Rowers Club is within walking distance and is worth a look for a cheaper meal and drinks. Pros: Stay, Park and fly package offers seven nights car parking, s family suites (50sq m) can sleep two adults and three children or 4 adults and one child, two onsite restaurants. This motel styled property has recently been refurbished and offers good value for money. It is walking distance (10mins) to Wolli Creek Station and shops with a range of dining options. The biggest draw here is the parking making it a good choice for locals going on short holidays. Cons: no elevator so you need to lug your bags upstairs unless you request a ground floor room, dining options have minimal hours. Check photos on TripAdvisor or look for current prices. These hotels are on the airport side of Joyce Drive, the main road the separates the airport from the suburb of Mascot. They are virtually in the car park of the airport. You can easily walk to these hotels as long as your bags are manageable. Be aware that most airport shuttle services do not begin until 5 am and if there are two of you rideshare will generally be cheaper. 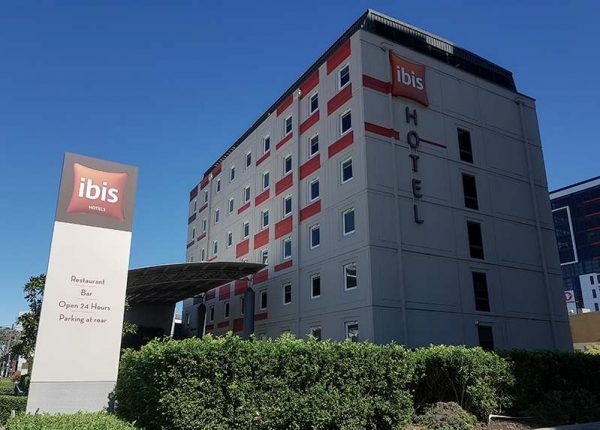 Hotel Ibis Budget Sydney Airport is a 200 room property less than 1km from the entry. They were wise to put the word budget in the name of the hotel because this is very much an entry level property, like a good quality private hostel room. There is fast food (McDonald’s and Krispy Kreme) at your doorstep to complete the budget theme. Pros: Accessible rooms and family rooms with four beds are available. Breakfast is served. Cons: No phones, or hairdryers, limited things to do within walking distance. The $7 shuttle charge is pricy when you consider you can take the airport train from Mascot for $8 and be surrounded by cafes and shops. The main road runs to the side of the hotel. If all you want is a place to lay your head, this is fine, but it would not be my choice unless I just needed to sleep for a few hours between flights. My Tip – The superior twin room is bigger than the family room provided your kids will sleep in one queen instead of two singles. Right next door to the Ibis and also on the airport perimeter and just a 15-minute walk from terminal 2, this 136 room property is a decent step up from the Ibis budget property. Only two years old, the rooms are a reasonable size and all feature king size beds and much better bathrooms than the Ibis. Cons: no family rooms, wifi is only free in the lobby – you need to join their loyalty program to access free internet in your room, 17 minutes walk to Mascot train station make travelling to the city a bit of a hassle. Check reviews and photos of the Mantra on TripAdvisor or find the prices here. You will find the most extensive choice of Airport Hotels clustered between the Domestic Terminal and Mascot Station. The hotels closer to the terminal are fine for overnight stays, but for anything longer I would choose to be nearer to the small shopping area near the station. 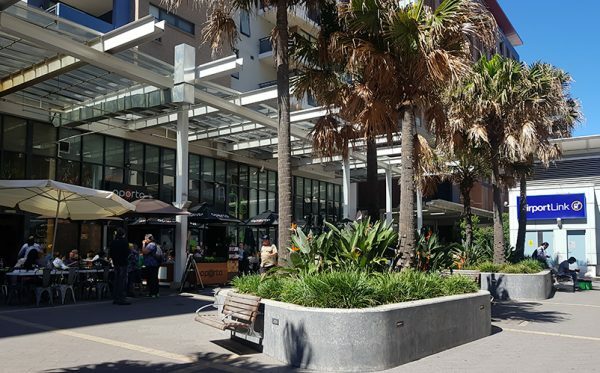 There are lots of benefits in choosing this area, chiefly is that it is on a direct train line to the city and has its shopping and dining area with a variety of food options. There is also a local club, the Graphic Arts Club, on Coward Street that has affordable drinks and comfortable spaces to relax. Transport to the area is good. The 400 bus from the airport will drop you on Coward Street within a few minutes walk of most of these properties saving you an airport station access fee, however as this station is also owned by the operators of the airport stations the fare from the airport terminals is only $8. Once you get to Mascot train fares to the city are standard CityRail prices, and the trip takes 15 minutes or so. Also, loads of Ubers in this area as it’s so close to the airport they hang about here waiting for work. 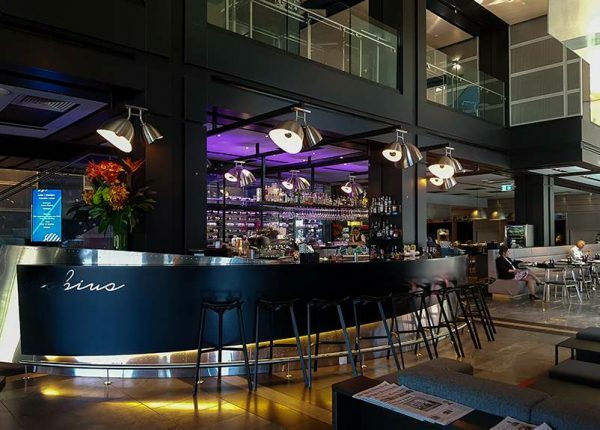 One of the original airport hotels Sydney’s Best Airport Hotel as awarded for seven consecutive years by Skytrax the Stamford Plaza is a short walk north from the domestic terminals T2 & T3. This is a well-appointed 4* hotel. Tip: Ask for an upper-level airport view room. Cons: the property is a bit lacklustre given the range of newer properties closer to the station and shops. The location is halfway between the shops and the airport; for this alone it would not be my first choice. Parking: Park and ride packages with 7 or 14 days parking included. The Felix is one of the newer (2017) and more stylish airport hotels. The rooms are attractive, and I love the 1960s feel of the design. The use of colour pulls them out of the standard airport style hotel and into something you feel a little special in. The reception area, cafe and bar are on the top floor. There is a self-service food area with sandwiches, salads, snacks and even panadol! Spaces are bright and feel generous with great views of the airport; the lights look very pretty at night too. There is an outdoor “cinema” which is a great way to relax, particularly on warm nights, although the large heater looks like it would do a fine job in the winter. Cons: none other than you are not in a particularly pretty part of town. Quest was one of the first apartment hotels at the airport opening seven years ago; however, they have been refurbished in recent years and certainly look bright and fresh these days. They have studios, one and two bedroom apartments. If you can get a reasonable price here, it is indeed satisfactory, but it would not be my choice. Cons: for me, the location is the biggest drawback, it’s kind of in the middle of no man’s land, not at the airport, not at the station. You can view photos of the property on TripAdvisor or check the current prices. Pros: Free wifi for all, laundry facilities, 24-hour room service, great customer service, their staff went way out of their way to help me sort out my day. Parking:$25 per day (or $7 if you leave before 6 am) offered in the adjoining Wilson’s car park next to the hotel. It can be possible to find street parking nearby if you arrive in the evening. Shuttle: $8 (managed by Wilsons Parking next door). Tip: Patchett Pies is just around the corner and is the perfect spot to indulge in this classic Aussie treat. This is the best 5-star property in Mascot and my among my favourites if it fits your budget. The hotel opened in 2016 and has 226 rooms including studios and executive suites. Windows are double glazed and keep the rooms quiet. The bathroom is open plan, and the separate toilet has a frosted glass door meaning these are not good rooms to share with anything but a very good friend 😉 The bar is impressive and has a great range of Australian offerings. Cons: in room wifi charges unless you are an Accor member ($10 per day is ridiculous), some people don’t like the open plan bathroom, I found the closet space odd full-length length space for jackets or dresses. Large rooms and super friendly service make this a popular choice. I have used their conference facilities for several years and am always impressed by their attention to detail. The location just 450 m from Mascot Station and 300 m from the 400 bus stop. The rooms are large and clean; they were renovated in 2014and are well maintained. The hotel has a bar with casual dining and a restaurant (that is not always open). There are several restaurants a short walk away, and it is easy to take a cab to foodie hotspot the Cannery or the Grounds of Alexandria. Pros: a 24-hour gym, proximity to transport and shops, good kids packages – (Kids ages 12 and under stay for free when sharing their parents’ room. Up to four kids ages 12 and under eat free any time of the day at the restaurant). Parking: stay and park package that includes leaving your car while you are on holiday and includes up to 15 days parking and a shuttle to the airport. These apartments are located in a large development directly across the road from Mascot train station where you can jump on a train and be in the city in 10 mins. Pros: Large rooms, comfortable beds, well furnished, laundry facilities, full-size supermarket and shops on site. Cons: the pool is shared with the residential apartments and can be busy at times. Many rooms look out over construction or other peoples balconies. These apartments are less than 250m from Mascot train station and very well positioned with the bus stop around the corner. Pros: fully equipped kitchens, with dishwashers, balconies, gym, washing machines. Cons: wi-fi is limited to 500mb per day. Opening in mid-2017 this property offers 146 studio, 1 and two bedroom apartments. The facilities are excellent, and the studios are spacious, and this is a great choice for families. Unlike the other properties that are nearest to Mascot train station, these are closer to the Mascot strip shops on Botany Road, a short 400m away. There are buses to the city and several restaurants, shops and services in the strip along with the Tennyson Pub with affordable meals and beers. Parking: $30 per day but street parking is possible depending on the time of day. Purple – Budget choices – best value for money. It can be cheaper to leave your car at the airport for a week than take a cab each way from home. While some hotels offer Fly and Drive or Park and Stay packages depending on the rates these long term parking services may be better value for money. All include a free shuttle to either terminal and require a booking to get these rates. Park and fly – charged on\calander day basis $80 for a weekend and $145 for a week. This service is top-rated because they offer a high level of security and a very efficient shuttle service. 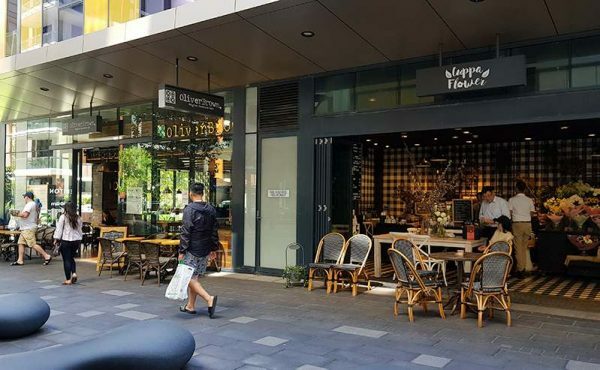 Two suburbs just a short drive from Mascot Alexandria and Rosebery are local foodie hotspots so if you fancy a meal away from your hotel jump in an Uber and head to one. Check out our map for all the suggestions and their websites. Which Sydney Airport Hotels that have day rates? 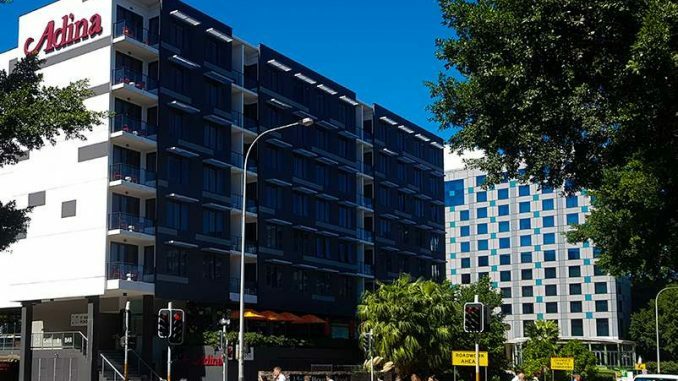 Rydges Sydney Airport, Pullman Sydney Airport at Mascot, and Stamford Plaza all advertise day rates being available although it is best to contact them directly. Ibis budget overnight rates may be cheaper if you are looking for a place to sleep for a few hours. Which Sydney Airport Hotels can sleep, five people? Which Sydney Airport Hotels have swimming pools? Only a handful of these hotels offer swimming pools including; Stamford Plaza Sydney Airport, Mertion Mascot Central, Branksome Hotel, Novotel Brighton, which has the addition of a 4km sandy bay. Which Sydney airport hotels have the best Accessible rooms? It is hard to beat the Rydges at the International Terminal. They have 12 Superior Queen Accessible rooms – Check this review from Have Wheelchair will travel. All hotels listed have some accessible rooms. Which Airport hotel is best for families? Branksome Apartment Hotel and Novotel Brighton are the two hotels near the airport that best cater to children. 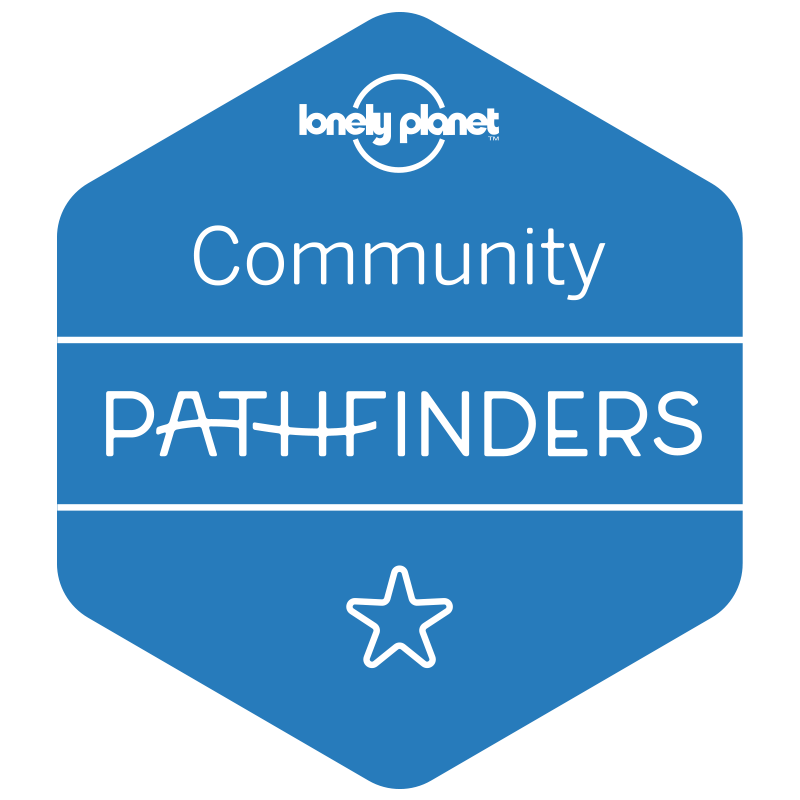 See their individual listings above for more information. Check out our Guide to Sydney Airport, Tips for using the Airport train or our guide to using the OPAL travel card in Sydney. 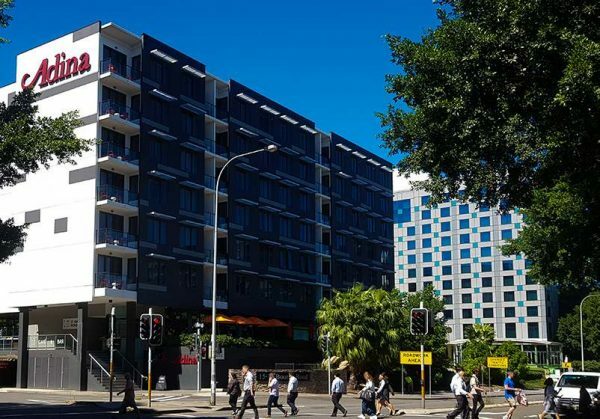 If you have decided that an airport hotel is not for you then why not take a look at our guide to the different areas in Sydney city and see which appeals.